Sonic Games(UK) | The most challenging puzzles in the World ! The most challenging puzzles in the World ! The isis adventure series will see the introduction of the fourth puzzle in the series this year (2012). 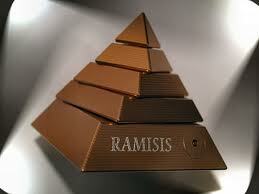 The Ramisis will also be re-introduced with a new modified mechanical design. The Isis adventure continues to increase in membership and this year we will being updating and refreshing the isis adventure website and introducing new online games and more prizes and cash awards. Isis IV will incorporate a great surprise for everyone in its design and conceptual processes this year. Andrew Reeves Inventor of the isis series of puzzles is keen to keep all adventurers on their toes this year by adding a wow factor to isis IV. Iball3 is now also available in Next, keep watching our blog for some exclusive content. Sonic Games puzzles have evolved over the years and the latest, the iball3 was recently shown on Channel Five’s The Gadget Show. 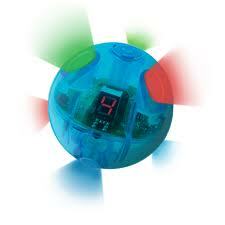 In its episode filmed at London Toy Fair, The Gadget Show listed its top five toys of the Toy Fair and taking top slot was the electronic brain trainer iBall3. The iball3 is a colourful, exciting, cutting edge electronic game. It is an interactive, brain training game with a world class on-line leader board for those who are the very best – see your name in lights on the website. Since ISIS there have been several other puzzles and sold in many retail outlets, including Harrods and Hamleys. visible”. At the Tutankhamen Exhibition for a few days, there was a prototype of the Isis II in a display case. On 4 April 2009, Sonic Games launched the Platinum Pyramid challenge. Owners of both Isis 1 and Ramisis puzzles who have not already won prizes can compete for £10000 in prizes. Winners of earlier prizes can compete by buying and registering new puzzles. In 2010 Sonic Games released the third Isis Adventure puzzle, the Copernisis. This puzzle incorporates rotating rings designed to resemble the heliocentric solar system illustrated in On the Revolutions of the Heavenly Spheres by astronomer Nicolaus Copernicus. For more details on the latest from Sonic Games, go to iball3.com or find us on facebook, search for official iball3. Sonic games was created in 2009 by Andrew Reeves, formally the head of IT with Capita and a game inventor in his spare time. Having new ideas for games and puzzles, you would think is far more interesting than the mundane world of a global company and constant calls from employees to ‘fix my computer’. Andrew’s original puzzle, the ISIS was launched on the 7th of July 2006 and in September of that year the ISIS appeared on Friday night with Johnathan Ross. Ross called the puzzle the hardest that he had ever attempted. In 2007 Andrew appeared on Dragon’s Den, seeking investment and the backing of the Dragons. Andrew has gone down in history as refusing the biggest ever offer on the show. The program itself proved to be a successful platform to demonstrate the ISIS. ISIS comes from the egyptian goddess who was revered by all for being the ideal mother and wife as well as the matron of nature and magic. The ISIS puzzle has more than 20,000 global fans and thousands of pounds has been won by owners opening the puzzle. 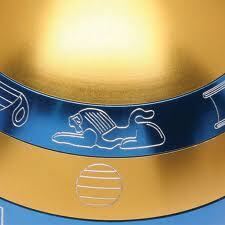 The aim of the ISIS is to open a puzzle ball to retrieve a key placed inside. This key in turn opens the hidden pyramids, where a player can claim either a gold coin – worth normally £500 or a silver coin worth £20. 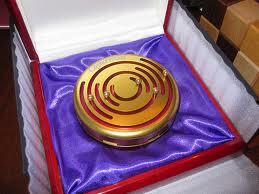 There have been many winners of the gold coins worldwide. There is a large user forum in which players can discuss clues, ideas and solutions. Andrew Reeves also frequents the site under the name ‘Puzz’. In the next post, we will explore some of the other products launched by Sonic Games. For more details on Sonic Games’ latest product go to iball3.com or find us on facebook by searching for official iball3.